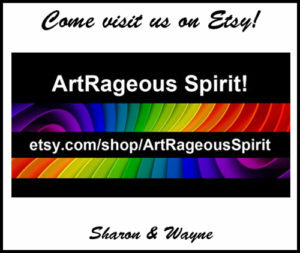 Simon: Fearless/Foolish | Simply Art-Rageous! Using his speed, he was able to escape, unscathed, from this encounter (you can hear his GrandMeowm say, “Uh, oh — hit and run!”) but he was soundly smacked on the head a few minutes later. When he’s reprimanded by an adult cat, he may be momentarily subdued, but I really think he’s just taking a moment to regroup and plan his next offensive campaign. At this point, Simon could clearly benefit from reading the feline equivalent of “How to Win Friends and Influence People”….